The Lexus UX will compete against the BMW X1, Audi Q2 and Mercedes-Benz GLA. It is expected to share its underpinnings with the Toyota C-HR crossover. The new Lexus UX compact SUV has the agile handling of a hatchback, the premium brand has claimed ahead of the car's unveiling at the Geneva auto show next week. New pictures of the car reveal a more simplified design inside and out than the midsize Lexus NX SUV, which split opinions because of its angular look. The images also show a blue-rimmed grille badge, indicating the car will have a gasoline-electric hybrid variant. The UX will compete against the BMW X1, Audi Q2 and Mercedes-Benz GLA and is expected to be sold in most of Lexus' global markets, including the U.S. In Europe, the car's smaller dimensions and more frugal hybrid drivetrain will further help Lexus expand its market share, which remains small compared with its premium European rivals. The UX is expected to share its underpinnings with the Toyota C-HR crossover, which is built on Toyota's TNGA modular platform that is also used on the Prius. Lexus said the UX is based on an all-new platform, although the brand has not used TNGA before. Despite retaining the traditional height of an SUV, Lexus described the car as having a low center of gravity. This feature combined with the UX's stiff body gives the SUV "the agile handling of a hatchback," Lexus said in a statement. The UX is expected to be one of the first Toyota and Lexus models to use the company's new 2.0-liter performance hybrid powertrain, which will increase output compared with the 122 hp of the current 1.8-liter hybrid. Toyota said the new hybrid "realizes improved driving performance while retaining superior fuel efficiency" without giving details on power or economy. Lexus is unlikely to offer a non-hybrid version in the big European markets. Last year, 98 percent of Lexus sales in western Europe were hybrids, the company said. 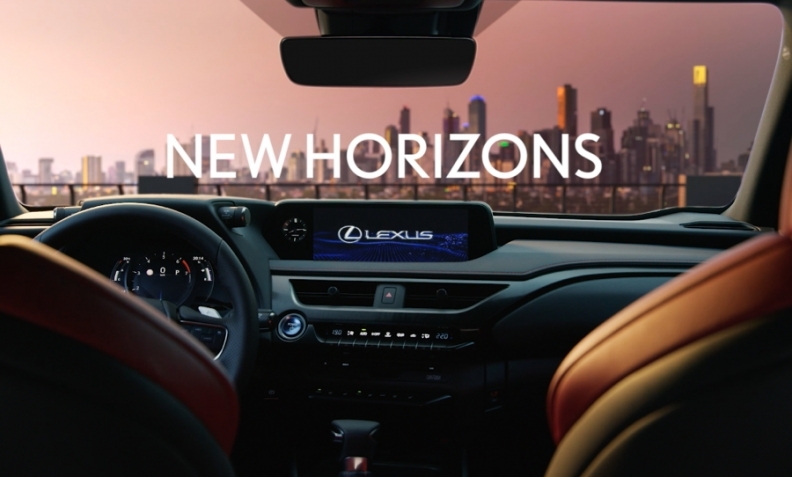 The Lexus UX's dashboard features a simplified design compared with the NX with fewer buttons and a prominent, high-mounted dash screen. The dashboard features a simplified design compared with the NX with fewer buttons and a prominent, high-mounted dash screen. The UX's exterior retains the signature Lexus spindle grille and adds fins to the rear lights for a more dramatic look at the back. The pictures also show the car has a thin light strip running along the length of the rear, just below the window line. 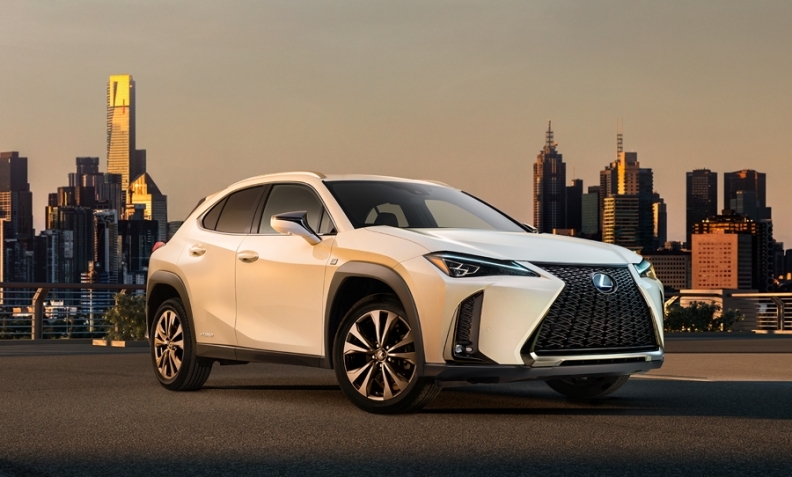 In Europe, Lexus is targeting higher sales, which have remained small compared with its success in the U.S. Lexus sold 45,098 cars in Europe last year, up 1.5 percent, of which almost 20,000 were the NX SUV, according to figures from JATO Dynamics.